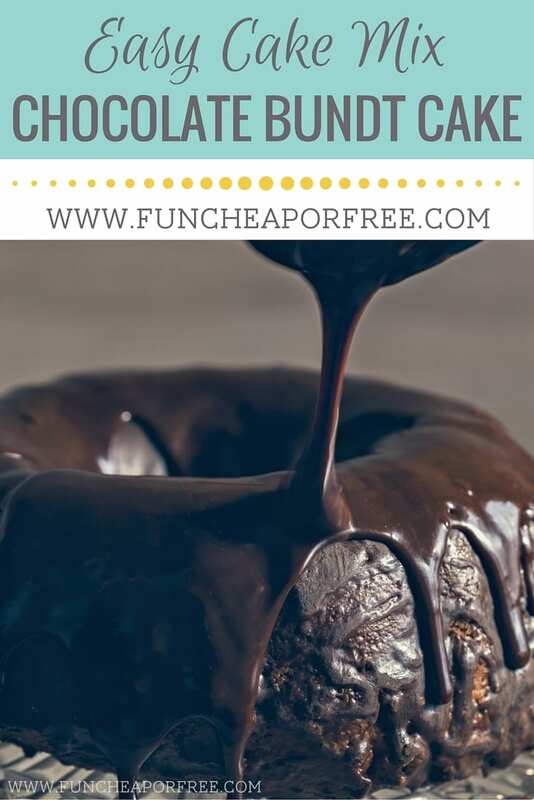 Click any of the other recipes above to get details on them, but for now I'm here to share the my no-fail, delicious, easy peasy crowd pleasing Cake Mix Chocolate Bundt Cake recipe with you! Let's get on with it! I'm sorry this picture is terrible, but we gobbled up the cake so fast I wasn't able to snap a decent picture! 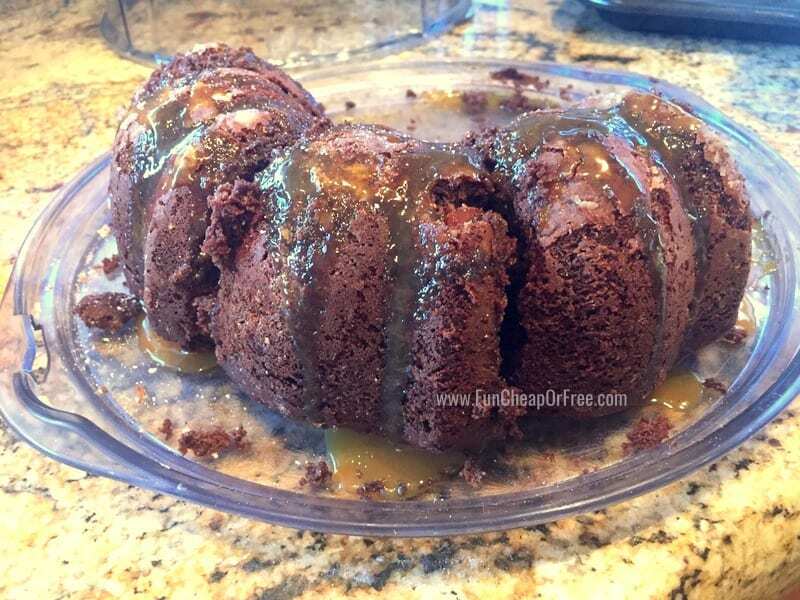 So enjoy this mess and just trust me that this cake will change your life…especially because it's from a CAKE MIX of all things! Beat sour cream, eggs, water and oil together in a large bowl until thoroughly mixed. Add cake mix and pudding mix. Stir in chocolate chips or candy. Place batter in a greased, and floured bundt pan. Bake 45-55 minutes, or until a fork inserted into cake comes out clean. While cake is still hot, invert cake on serving plate. When cool, drizzle with caramel or your favorite glaze or topping of choice. Serve, and enjoy! This looks so delicious!! I’m in! This is one of my moms favorite cakes! So delicious. I drizzle chocolate buttercream over the top!